Ideally speaking, mother milk is the best baby food. It contains not only all kinds of nutrients necessary for the healthy development of the baby, but also all kinds of antibodies provided by the mother. It is the infant's ability to enhance disease resistance. However, a large number of infants must supply infant food because they do not have or lack of mother milk. 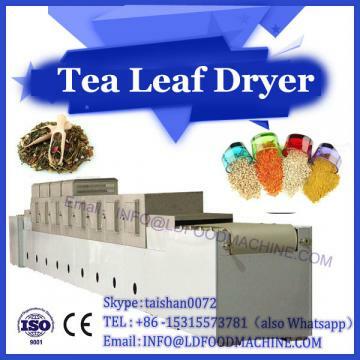 Microwave drying machine equipment produces all kinds of nutrient powder production machine. The nutritional powder production line includes baby rice noodle making machine, solid food making machine, blurred processing machine, etc. At present, the research and development of infant formula milk powder: all countries in the world have strict food regulations on infant formula, safety and quality management is the most important, the design of manufacturing technology is the most advanced, China is no exception. 1) Fat: Adjust the ratio of saturated and unsaturated fatty acids, so that linoleic acid content and breast milk content close. Some essential fatty acids in unsaturated fatty acids affect the growth and development of infants, especially the brain. It has important physiological functions. At present, some Sino-foreign joint venture dairy enterprises and a few domestic dairy factories have added AA (arachidonic acid) and DHA (docosahexanoic acid) to the formula milk powder. (2) Protein: The ratio of casein to whey protein was adjusted to make it close to breast milk. The ratio of whey protein to casein was 60:00. 40 or 70: 30. In addition, the addition of non-protein nitrogen substances are (a) taurine, to promote infant body development, regulating nerve conduction beneficial. At present, most infant formula milk powder has added taurine. (b) Nucleotides: low-molecular-weight intracellular compounds that participate in energy responses essential to cell metabolism and are structural units of nucleic acid DN A and RN A. At present, only infant formula milk powder is added. (3) carbohydrate: low lactose content in milk, adjusted with whey powder, maltodextrin or starch. In addition, some infant formula milk powder added oligosaccharides (isomerized lactulo se, fructo-oligosaccharide, etc. ), its role in the activation of intestinal bifidobacteria and promote their growth and reproduction, to inhibit harmful bacteria in the intestine, and promote calcium and iron absorption. (4) calcium, iron, zinc, copper and other elements were strengthened, and the proportion of calcium and phosphorus was reasonable. In recent years, the ratio of sodium to potassium and magnesium, manganese and chlorine have also been adjusted. More selenium has been added to infant formula recently. (5) Vitamin: Now infant formula milk powder is generally added with multivitamins, including V A, V B1, VB2, V B6, V B12, V D, V E, V K, VC and so on. Recent studies have shown that nicotinic acid, folic acid, inositol, pantothenic acid, biotin, choline play an important role in the growth of infants, nervous system development, so national standards and large dairy industry infant formula powder standards have requirements for the above ingredients. L-carnitine, as a necessary nutrient for human condition, has been added in some formulations. Nowadays, immunoglobulin concentrate (M IC), lysozyme, lactoferrin, lactoperoxidase, alpha-whey protein and so on are considered to be added. There are other needs or physiological abnormalities for special meals. Requirements such as formulations for premature infants, for congenital metabolic deficiencies such as phenylketonuria, and soybean formulations for milk-sensitive or intolerant infants need to be further developed.